“Every time a shaman dies, it is as though a book is burned,” says Jose Roque mournfully as he hacks through a vine with a machete. The 63-year-old indigenous Shipibo healer is showing me around an overgrown jungle garden behind the traditional thatched-roof hut he calls home here in the heart of the Peruvian Amazon. Roque has long been cultivating plants on this dense patch of rain forest to treat a host of ills, including headaches, nausea, inflammation, skin rashes and menstrual pains. Once dismissed as primitive charlatans, medicine men like Roque are increasingly being recognized by scientists for their very real abilities. Their skills and knowledge, acquired over thousands of generations spent experimenting with Amazonian wildlife, are now viewed as key to unlocking the rain forest’s vast potential to provide new pharmaceuticals — for everything from the common cold to cancer and AIDS. Already five of the top 10 prescription medicines in the United States are derived from living organisms. For cancer drugs, the proportion is even higher, with three-quarters coming from biological sources. And nowhere is richer in animal and plant species than the Amazon, the most biodiverse ecosystem on Earth. Yet testing plants for potential treatments is a long and costly business. Only one of every 10,000 to 20,000 natural compounds screened by scientists ever becomes a drug approved by the US Food and Drug Administration. That’s where native peoples come in, with their huge head start over Western medicine on identifying the jungle’s active compounds. But younger generations here are increasingly rejecting their ancestral roots for a Western lifestyle. That means scientists are losing the shortcut of indigenous knowledge to finding the most promising natural substances in the world’s largest tropical rain forest. During the 20th century, 90 tribes are thought to have disappeared across the Amazon, an area two-thirds the size of the contiguous United States. Some were wiped out by Western diseases to which they had no immunity. Others vanished as their members abandoned their traditional culture just to survive in the white man’s world. In the last 15 years, the pace has accelerated as roads, logging, agriculture, mining and damming increasingly penetrate the jungle, says Michael Harner, a US anthropologist who has been studying Amazonian shamanism for more than 50 years. “I am pessimistic. It is a very serious situation,” adds Harner, who founded the San Francisco-based Foundation for Shamanic Studies. Protecting the Amazon jungle will not be enough. Culture must be maintained, too. This study of a Colombian tribe, led by a University of California, San Francisco expert, noted how their “healing tradition is a complex art of diagnosis, examination, communication, ritual and treatment, which cannot be ‘saved’” simply by preserving plants. 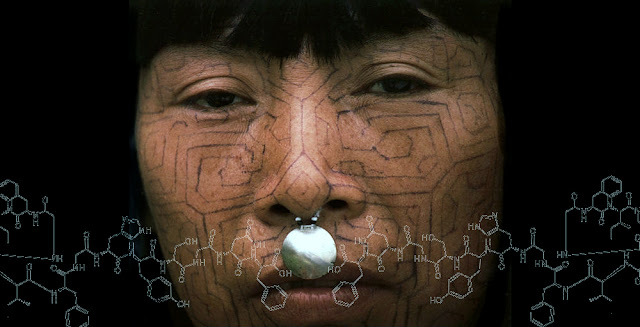 No one seems to know for sure how many medicine men still survive across the Amazon. But the scale of their natural cabinet is staggering. Just in the northwestern Amazon, locals use 1,300 different plants medicinally. For Roque’s children and grandchildren, temptations to break with tradition are all around. They live in Santa Clara, on the outskirts of Pucallpa, one of Peru’s fastest growing cities. Their village was founded in the 1970s by missionaries who encouraged the Shipibos to give up their nomadic lifestyle and settle there. Fueled by illegal logging, Pucallpa is high-decibel, chaotic and vibrant. The city is packed with discos, bars, fast food joints and street markets full of cheap, Chinese-produced clothing and blaring salsa music. Two huge, gleaming malls have been built in the last 10 years, as Western consumer culture takes this rain forest frontier by storm. No wonder towns like Pucallpa across the Amazon draw native youngsters from the surrounding rain forest. Behind them, they are leaving aging medicine men without the chance to pass on their unique knowledge to the younger generations. 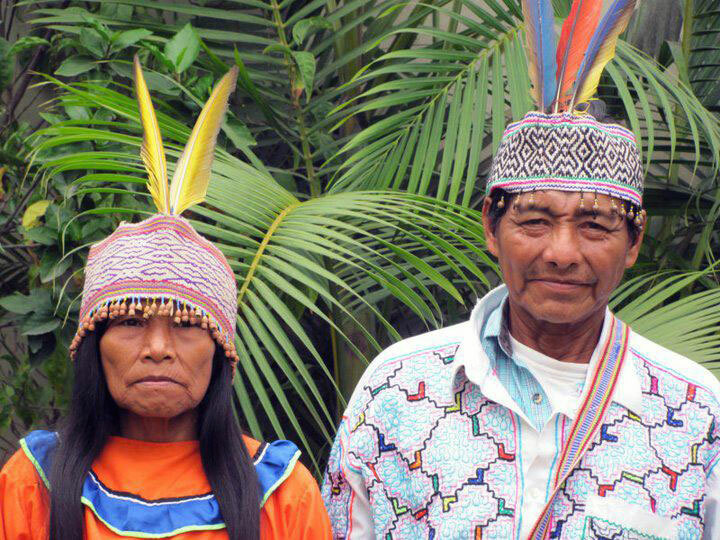 “Not a single tribe that has gone extinct in the Amazon had anything written down,” Plotkin says. Which is why, as Roque puts it, the loss of each shaman is equal to the destruction of a treasured book. Responses to "Disappearing Amazon healers are taking potential cures for cancer with them"
Indigène des Pyrénées , issu d'un peuple installé dans ces montagnes depuis plusieurs millénaires , locuteur d'une langue maternelle quasi disparue , je me sens solidaire de tous les peuples premiers que le grand consumérisme occidental a voué à s'effacer. We should save what we can, and whom we can. We should listen to the old ones. A healer, a shaman, translates for us the wisdom of our own bodies, of the earth and the cosmos. It isn't just the human beings that we lose but the collective spiritual wisdom and consciousness of our planet. I send love, gratitude, appreciation for all who have walked the path of the healer. Thank you.